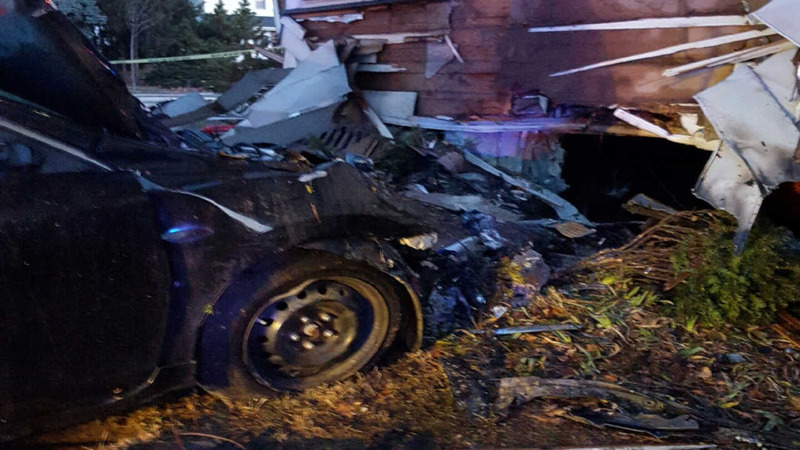 PARAMUS, New Jersey -- A police chase in New Jersey ended when a driver lost control and crashed into a home. Saddle Brook Police say the chase began early Saturday morning when officers tried to pull a Nissan over for running a red light. The driver fled, leading officers on a chase through Lodi, Rochelle Park and Paramus, where he crashed into a house on Farview Ave and Spring Valley Road. The car then caught on fire. After a foot chase, police arrested the driver, identified as 25-year-old Marlon Vancooten of Brooklyn.